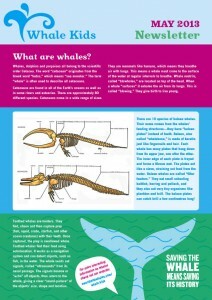 Welcome to our whale-kids monthly meet our whales newsletter. Become an expert by printing it out and starting a folder for your whale newsletter collection. Each month we shall present details on one of the many whales that inhabit or visit our waters. Some of which you’ve probably never heard of.